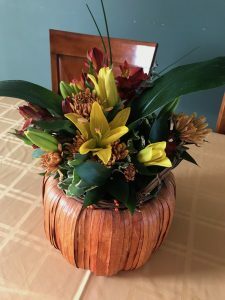 On Thanksgiving Day, my friend and fellow blogger/writer, Doree Weller, posted about books that remind her to be thankful. I was immediately inspired and reached out to compliment her post and ask for permission to “steal” that title idea. I figured I could churn out a post on that topic easily, and set to work. Once I started my list though, I realized there was more to each book than just reminding me to be thankful for the life I have. On a deeper level, what all of these books have in common is that each one changed the way I view the world. This was a fairly recent read, and is still on my mind. 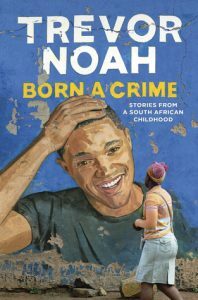 Far from a traditional celebrity memoir, in his collection of personal essays Trevor Noah gives us a personal account of his childhood in South Africa. Starting before he was even conceived, Trevor paints vivid portraits of his mother and grandmother with superb writing and rich imagery of apartheid. South Africa is a major character Trevor’s stories, and he describes apartheid with great factual detail and emotional commentary. I learned so much from this book, I am horrified I wasn’t aware of it before hand. At times heartbreaking and other times laugh out loud hilarious, Trevor’s storytelling and narration left me in awe, and I was sad when it was over – I wanted to know more. I liked Trevor and his work on The Daily Show before this book, and now I have an even greater respect for what he has achieved in his life and career. I had no understanding of what life in South Africa is like, and Trevor’s experiences as a mixed race child opened my eyes. 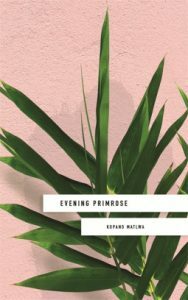 Shortly after finishing Born A Crime, I read Evening Primrose by Kopano Matlwa for my book club. A fictional firsthand account of the violence and xenophobia in post-apartheid South Africa, it would not have been nearly as powerful if I hadn’t gotten the education I received from Trevor Noah’s memoir. Our narrator, Masechaba, who is experiencing a drastically different reality than she had imagined when dreaming of becoming a doctor, and is documenting her life in a journal. Most of her journal entries are directed at God, as she struggles to make sense of the violence in her country. The writing is raw and vivid. Descriptions of violence and gore are at times appropriately nauseating. Because we are reading a journal, at times I felt I was invading the narrator’s privacy by reading, yet it made me feel connected and root for her on a deep level. This may be a surprising choice since it’s a young adult novel, but it wow-ed me on many levels. While I didn’t exactly love the plot, the reading experience was truly unique. Our narrator is Aza, a 16 year old girl living with Obsessive Compulsive Disorder. The narrative feels spot on for someone dealing with thoughts such as hers, and her struggle is absolutely heartbreaking at times. 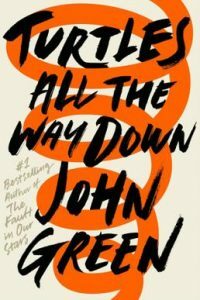 Green also has OCD, and drew on his own experiences while writing this novel. To have such an intimate view of the inner workings of someone with OCD, the battle of fearing and hating your own body, made me view this condition in an entirely different way, and feel intense empathy for those who deal with such issues. 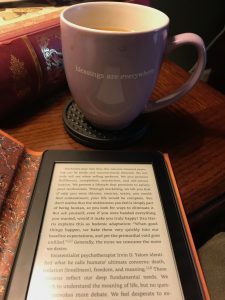 The frantic pace of the narration aggravated my own anxiety issues, and gave me a feel for what it might be like to suffer to a more extreme degree. This is an interesting choice because I’ll admit I didn’t like this book a ton (I gave it a two star rating on Goodreads ) Despite the less than stellar writing quality, so many facets of Rachelle’s story are truly incredible. 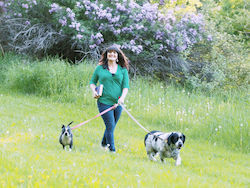 In 2010, only a few weeks before her wedding, Rachelle was playfully pushed into a pool during her bachelorette party and suffered a broken vertebrae which left her paralyzed from the chest down. What affected me most about her entire story is her adamance that she has never been angry about what happened to her, or at the friend who pushed her. In fact, the five women made a pact to never reveal the name of that friend. Eventually Rachelle and her fiancee had their wedding day, and have since had a child together. Her resilience and determination to not only recover, but then go on to do everything she had planned, challenged my personal beliefs. It made me reevaluate my own habits in regard to anger and recovery from challenges, and showed me that life can go on after crisis. I first heard of Micheal Pollan when he was a guest on The Daily Show, discussing one of his books. Before that, it had never occurred to me that not everything we eat is technically real food. 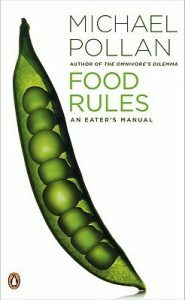 I was immediately interested in reading his work, and started with Food Rules because it was the shortest! It is now my favorite of all Pollan’s books. The first couple of times through, these rules felt extreme. It was shocking to realize I wasn’t eating as healthily as I believed. My worldview was expanded by the knowledge that not all people in the US have access to fresh produce, and by the realization of the power of the proceed food industry. I live about 200 miles from Missoula. In some parts of the country, that’s a world away but here in Montana it’s practically next door. The University of Montana is the rival of Montana State University, which is located in Bozeman, where I live. 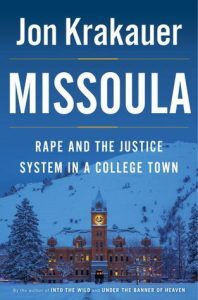 Before reading this books, I was familiar with the scandal in Missoula but was not aware of all the details. While reading about the brutality and corruption of the sexual assaults and cover-ups, I was shocked and angry. 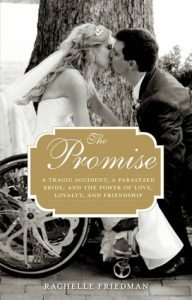 Those emotions transitioned by the time I finished the book and I felt overwhelming sadness for these young women. They were robbed of SO MUCH in these inexcusable attacks. They will never ever be the same. And they do not have, like I and so many others have had, the luxury of waking up the morning after a night of drinking with rolling nausea and a head that feels like it’s been split with a jackhammer, to feel stupid and suffer briefly for poor choices yet be able to learn from them and move on. I have made poor choices when it comes to dating, and sexual partners, and drinking alcohol, and I’ve woke up in the morning regretting choices I made the night before. I have never been forced into a sexual encounter, and this book made me realize not only how fortunate I am, but that sexual assault is much more prevalent than I had believed. I must know dozens of women who have been victims of these crimes, and I am not aware. It made me look at my past through a different lens, and realize all those mistakes I made were a “luxury.” It made me reconsider my drinking habits even though I’m now married. This is such an important book, Jon Krakauer did a great public service by investigating and writing it as well as he has. Every book I read changes me in some way, and adds to my knowledge base. 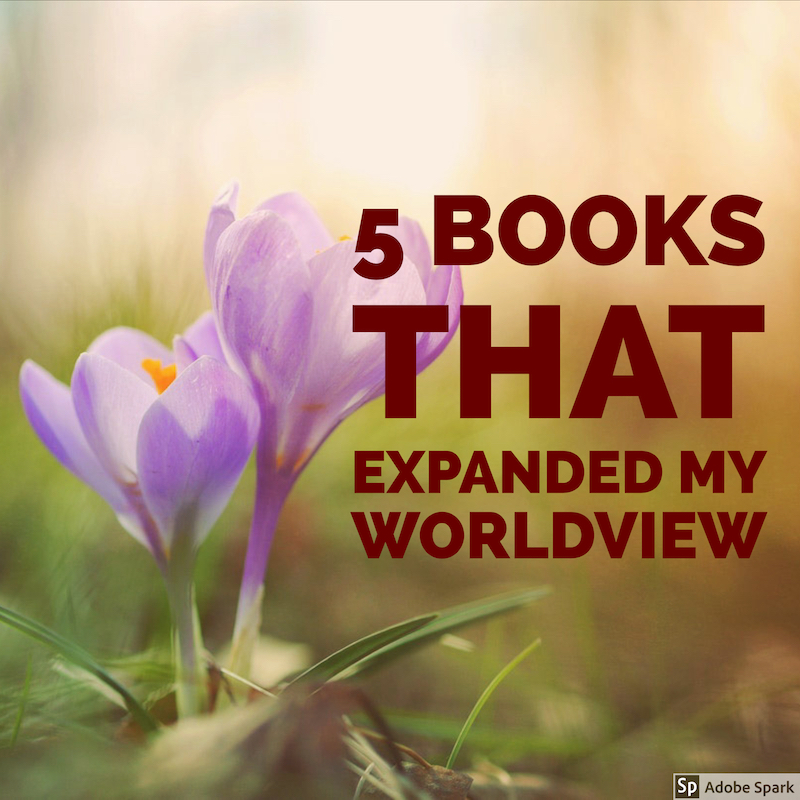 Certainly, there are more than five titles which have altered my view of the world. I chose these particular five because they came to mind first, and upon a quick review of my “Have Read” shelf on Goodreads, no others jumped out at me as being more worthy of mention than these listed here. Having your personal views challenged, or realizing the world you’ve been inhabiting is much larger than you’d imagined, can be uncomfortable. Even so, it’s an important part of being a decent human. Not everyone is willing to go there and accept ideas that go against their own. The authors who wrote these books had to take a risk, had open up and be vulnerable in order to share their stories and information in a way that could move a reader as it did me. I hope some of these books have affected you in a major way. I’d like to hear what you think of my titles, and I’d especially like to know which book(s) have expanded your own worldview. Well, looks like I’m adding a few books to my TBR! The ones by Michael Pollan and Trevor Noah especially seem interesting. To share a life changing book, two books come to mind. “The Total Money Makeover” by Dave Ramsey opened my eyes to the reality of money. I’m not religious, but Dave clearly is and he uses biblical references often, but its not “preachy.” It changed my life for the better cuz it changed my worldview about money. The other book that really forced me to to look at people in a different light was titled “The Five Love Languages.” The guy is a Christian pastor, and at times the book does indeed get preachy, but again, the core idea behind his book was quite eye opening. Again, life changed. I share as food for thought. Cheers to all who try to make the world a better place with their writing! The Five Love Languages definitely changed my life too. It affected all my relationships, and mostly my one with myself! It helped me understand that the ways I show and want to receive love are not “wrong,” and gave me the confidence to ask for what I need in any relationship, and feel comfortable enforcing my own personal boundaries. Thanks for your inspiration and encouragement. They’re definitely both eye-opening books!